Security can really help make a concert better or make it much worse. I have had countless interactions with guards throughout the years and can say that I have generally been satisfied with the way that I am treated. Exceptions, however, have certainly been pretty bad. Probably the worst I was ever treated was at a Guns N’ Roses concert at the Sands Bethlehem Event Center in Bethlehem, Pennsylvania, where the guards forced us to line up in the street for the general admission show, saying that it was against policy to line up on the sidewalk in front of the venue until 5 pm. This was not printed on the ticket, and when I contacted the venue, they told me that they had been unaware that the rule existed! These guards were extremely nasty, and several people had altercations with them. Most of the guards inside the venue were extremely friendly and helpful, but those stationed outside were absolutely miserable. One of the best experiences I had with security was at a Queen + Adam Lambert show in Atlantic City, New Jersey. At the beginning of the show, my family and I were physically thrust off of the catwalk (which we had seats up against) as the show began. This guard, however, was not seen again, and the gentleman who handled our section for the rest of the night could not have been friendlier and added to our overall experience, eventually allowing my sister and I, along with the woman sitting on the side of us, to come up to the catwalk. I must also give credit to the security at the Slayer show at the Susquehanna Bank Center in Camden, New Jersey on November 29th, 2013. The crowd in the general admission pit was extremely rowdy, and the security did a great job keeping everyone safe. I will say, however, that other events that I have attended at this venue were marked by poor security. It has really been 50/50 there for me. 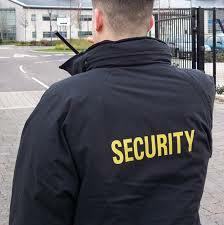 I would love to hear your experiences, good and bad, with security guards at concerts – please discuss!